: I heard about Elvis when i was 5. I was at school and they brang him up and i started to become more interested in him and i'm 12 know and i'm still as bigger fan as i was back then. : His name and his bueatiful singing. "My Message to Elvis": Can i have a hug and a photo with you because you are hot and awsome. 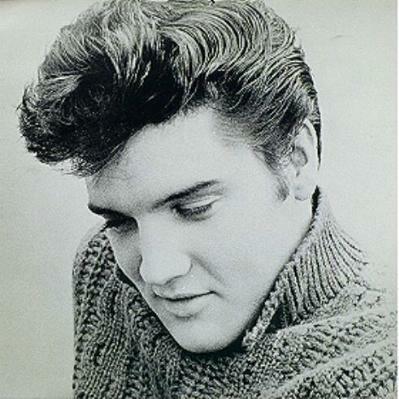 : My favourite song from Elvis is An American Trilogy because i think it has a cool rhythem to it. : I think his greatest love was his mother Gladys. : I wasn't born when Elvis died but to me it was really sad. Yhis year he would be 72.
: No but my dads girlfriend has and i want to go to Graceland. if i was there i would cry. Elvis is as bueatiful as anything. : I am 12 and i have brown hair. I am an absolute FAN of Elvis and i LUV him. : Let fans be able to listen to the music. Thank you for your comments on our survey. Sounds like you`re hooked on this wonderful man. It`s great to hear from a young Elvis Fan, so nice to know he touches the younger hearts out there. I got agree with you, Elvis looks hot and in his white suit, he still melts many of us. His music is timeless, his generosity will never be forgotten and his sincere personality will be forever honored. Elvis Presley is our king FOREVER. I went on to do Dance Party with Wink Martindale which was a Saturday programme for teenagers where George Klein worked. I really was not an Elvis fan before I met him but I was a disc jockey and I did play his records. Well, one particular Saturday Lamar Fike called me and said that Elvis would like to meet me and I told him that I was sorry but I already had a date for that night. I explained that I couldn`t let my date down, Elvis wouldn`t have liked it if it were him and that I was very sorry. A couple of weeks later Lamar called again and said Elvis would like a date and was I free that night. At the time I was living with a lady that I had met called Miss Patty who became a real mother figure to me and I told Lamar to ask Elvis to pick me up there and we set a time. When he came buy in his Cadillac, Elvis was driving. He sent George Klein up to the door, which was a big mistake, and Miss Patty told him that she was sorry but Elvis would have to come himself if he wanted a date. Anyway, Elvis came back with George, this was just after he had made Loving You and he wore a red velvet shirt and looked very, very handsome. I must say that he was the best looking man that I have ever seen. Anyway, George made the introductions to me and to Miss Patty who told them to have me back at a sensible hour or she wouldn`t let me go. I went out to the Cadillac and there was Lamar and a few other guys. We just drove around laughing and talking, having a great time. Elvis got hungry so he stopped by the store for some hamburgers. We drove up to Graceland were I remember he had a whole lot of teddy bears in the dinning room. All of a sudden Elvis said, `I want to show you my bedroom` and so we went upstairs and he started to kiss me. He acted real nice, we went down stairs and he took me home. And the second date? The second date was a couple of nights later and we went up to Graceland again. You know Elvis still had an old truck and we`d get in it and he would drive me down to Lauderdale Courts to show me where he used to live. He`d show me around Memphis and nobody would ever bother us because they really didn`t recognise him in that truck. We just went back to his house, we watched television, ate and had a good time, then Elvis took me home.